If you are new to our church, please join us at one of our newcomers events. These happen about twice per term and involved joining Chris Green in the vicarage with other newcomers, during one of the services. This is an informal gathering with chance to ask questions about our life at St James. 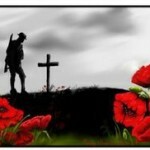 An illustrated talk followed by a short period of reflection to remember those who died. 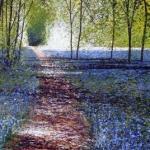 An exhibition of recent paintings by Hertfordshire artist, Rory J Browne opens at St James Church, Muswell Hill.